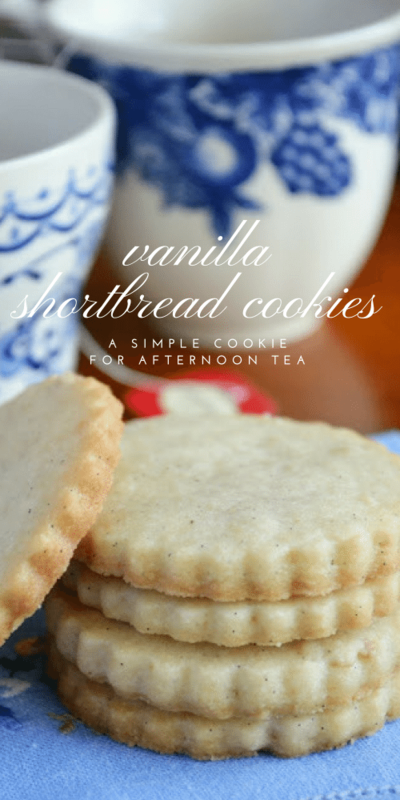 Vanilla Bean Shortbread Cookies are a simple, buttery, and utterly delicious cookie perfect for afternoon tea, an after school snack, or any occasion. If you’re looking for a soft spoken, elegant cookie to pair with coffee or tea, look no further. These demure cookies speak in the hushed tones of floral vanilla bean, they quietly crunch and then melt away in your mouth. After you eat one or two, you’ll wonder why you’d ever need anything else in a cookie. I made them for the book group ladies, to balance out the DECADENT CHOCOLATE TRUFFLES and FLOURLESS BELGIAN CHOCOLATE CAKE. I didn’t want to be responsible for anyone going into shock from chocolate overload. 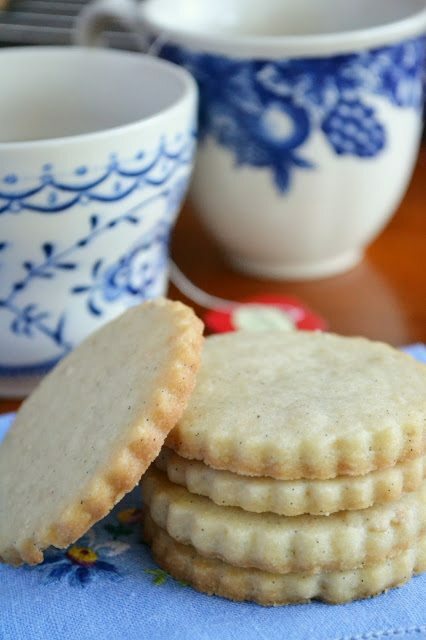 I’ve made lots of SHORTBREAD COOKIES on the blog, and if you like these you might try my WHITE CHOCOLATE CHIP PECAN SHORTBREAD COOKIES, or my original PEANUT BUTTER CHOCOLATE CHIP SHORTBREAD COOKIES. Cream the sugar and butter together with the vanilla bean seeds. Blend in the flour and vanilla extract. Keep stirring until the dough comes together. Roll out the dough on a floured surface to about 1/4 inch thick and cut out the cookies. Place them on a parchment or silpat lined baking sheet. Bake the cookies for about 13 minutes until firm. I wonder if you could just slice these after rolling into a log & chilling, Instead of rolling out the dough & cutting out with a cookie cutter? Sometimes I’m just lazy! Thank you. Two questions have you ever used a cookie press with the dough instead of rolling them out. And if we’re using the vanilla bean paste it replaces the vanilla bean and the extract? I haven’t used a cookie press but I often roll the dough into a log, chill, and slice and bake. And yes, the paste takes the place of the bean and extract. So I am making these for my grandmother who Celiac so she cant have gluten. I cant find a straight forward recipe with out having to buy a million things. 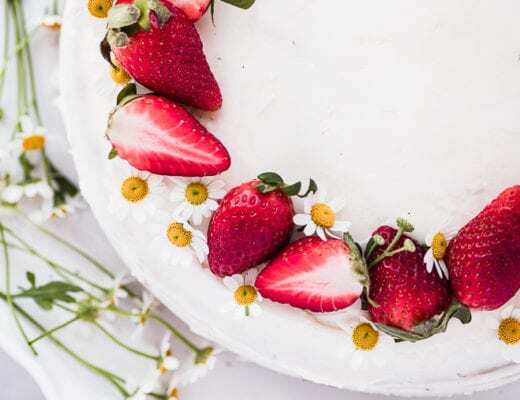 Will this recipe would if subsgiting with gluten free flower and a binder? Hi, when you say confectioners sugar are you meaning powdered sugar or regular granulated sugar? could you use these for cut out/ royal icing cookies? do they spread? These don’t spread, so yes, I think you could. Instead of using only vanilla flavoring I used half almond, and I also replaced the vanilla bean with fresh orange peels (two of the little cutie peels chopped up because that’s what I had in the house) and they tasted just like marmalade! Nice! I adore almond, and the combination with the Cutie zest sounds amazing! Would they be good made into a sandwich cookie with marmalade, too?? These cookies really are as simple as a cookie can get ~ glad you liked them! These look amazing! I just got an embossed rolling pin – any advice on how to use that with this recipe? Should I chill dough first before rolling out or after cookies are cut so it holds the stamp? Thanks!! I haven’t tried these with an embossed stamp or rolling pin, but I would definitely chill the dough first. Do you think the dough would hold up if I refrigerated over night? I have a massive baking day coming up with a girlfriend and like to make my doughs the night before to keep things moving when it comes to the oven. Thanks in advance. I made these but I didn’t follow the order of ingredients. I am blaming the cute 7 month old baby at my feet. Instead I mixed everything all at once, mixed with my mixer and hoped for the best. They came out pretty good but a bit dry. Which, I know is the nature of shortbread but they just were not giving me the va-va-voom I was looking for. So I melted down semi-sweet chocolates and dipped the face of them and they are one of the most amazing cookies, ever! Also, I didn’t use a fancy cutter, I used Halloween cookie cutters instead and they have morphed into divine Autumn treats. These are the best cookies I’ve ever made! I love how light and airy the dough is. My kitchen smells amazing now! And the cookies came out perfectly and stayed delicious for the week that we were able to not eat them all. :-) Perfection! I so wanted these to work. They so did not. I double-checked the ingredients and measurements. Everything was in order, but I ended up with a buttery flat mess on the baking sheet. We’re crumbling it up to go over ice cream, so we’re calling it a ‘reinterpretation’ but something went very wrong somewhere. Hi.. after baking a few years, I realized that the brand of butter matters. If at room temperature it is hard to get off the paper, it has too much liquid. I use Land of Lakes every time. Also if your butter is too cold it won’t work properly either..
Great point Kate! I’m a Land of Lakes user too, and when I buy cheaper brands I can always tell the difference. 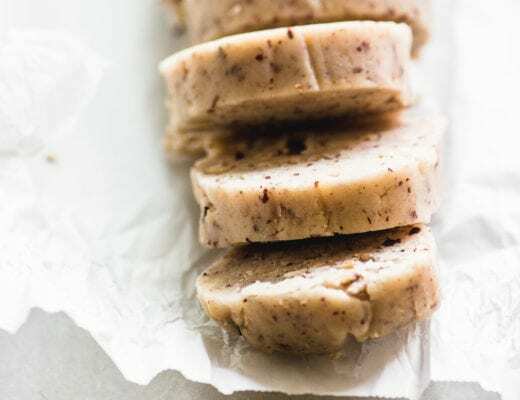 Do you recommend using both vanilla bean and vanilla bean paste? I’ve never used the paste and am worried I would overload them with using scraped seeds as well. 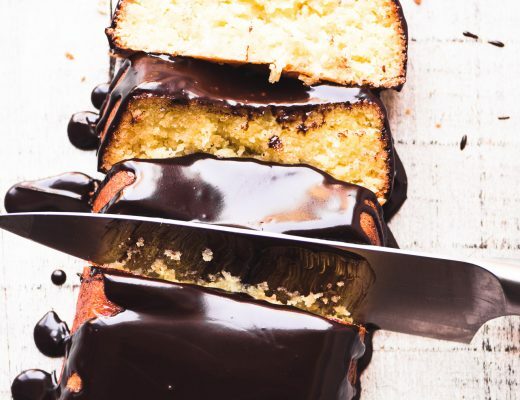 Where do you buy vanilla beans for this recipe? 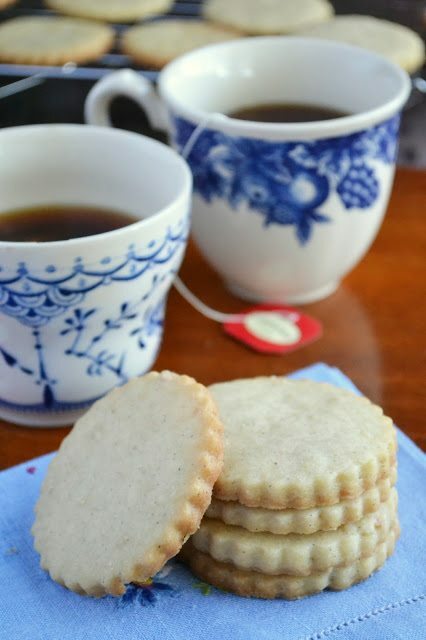 I made the Vanilla Bean short bread today and they are delicious,I added some grated NUTMEG,the short bread cookies are buttery crisp the will go great with Tea,Coffee or cold glass f milk, I will triple the recipe for the Holidays. Sorry Ruth, my older recipes don’t have the printable recipe plugin, I’m trying to convert them all over to it, slowly! and i am so glad i finally switched over to using vanilla bean paste instead of pods–far cheaper!!! and just a tasty! 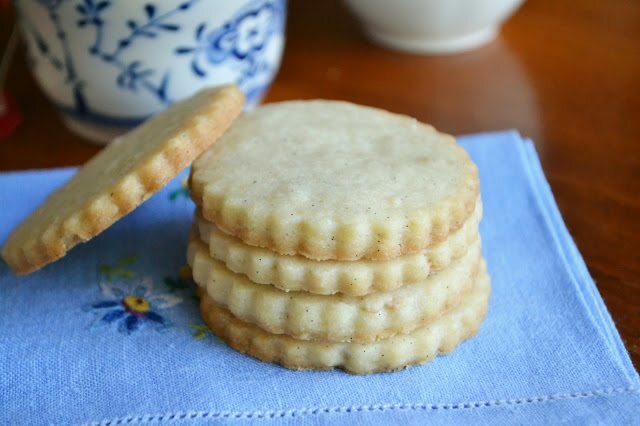 I’m always happy to have a delicate shortbread recipe on file – it’s something everyone loves and such a handy thing to whip up if people are coming over. Love the flecks of vanilla bean, too… we brought back heaps of vanilla beans from our honeymoon in Bali that are waiting to be mixed into these! As I sit here drinking my cup of Jasmine tea and cookie-less, I’m salivating over these cookies. Can’t wait to try them! These look super amazing! I can’t ever, ever, ever have too many shortbread recipes! This one will most definitely go into my collection! Would it be okay if took the blue tea cups too? I love those, so pretty! Such a lovely cookie and I like your blue and white accessories! 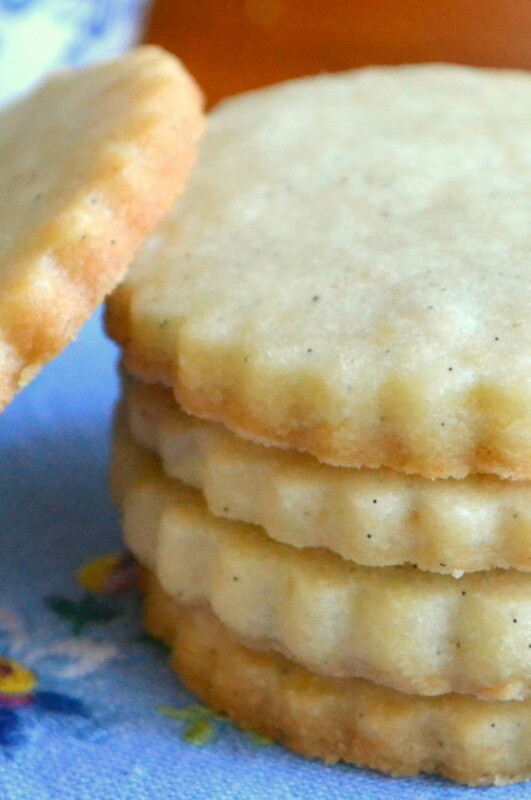 I actually make a variety of vanilla bean shortbread that is my favorite! But yours are different than mine…and they do look so demure and dainty sitting there. I’ll be trying yours next time! I’ll check your blog to see if you’ve posted them…I’d love to try another version. I’ve become such a vanilla fiend this year that I’m going to buy some beans in bulk. Aloha! 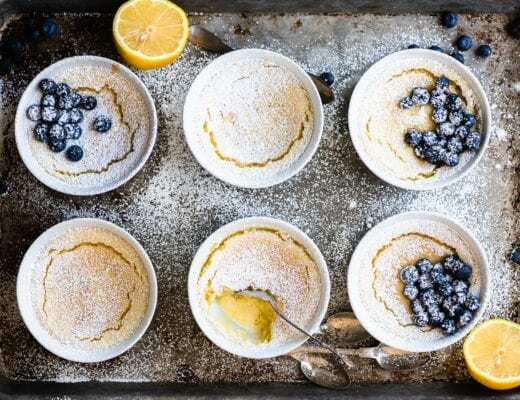 I love all types of shortbread but have never made a recipe with confectioner’s sugar — can’t wait to try this one! Can you confirm if it’s 1 pound or 2 sticks of butter, please? I thought there were 4 sticks in pound. Ooops, I meant 1 cup. I updated the recipe. Trying to blog every day is catching up with me! How beautiful are these? I love all the vanilla bean specks. I’ll be that the confectioners sugar makes these super tender. Drool. You can use either kind of sugar, and I also like the kind of sandy texture that regular sugar gives them. I sometimes alternate. I never make shortbread in favor of the more ooey and gooey type cookies. I need to change that up. The flavor in these is right up my alley. OMG, I posted a photo in the sidebar of my blog of the most wonderful little bird cookie pictures….I do believe your cookies would be the perfect base, and I KNOw I can easily convert to gluten free!